IHC has been there for thousands of rural parents over the years. In every community around the country, IHC provides vital support and information during an extremely difficult time for families. 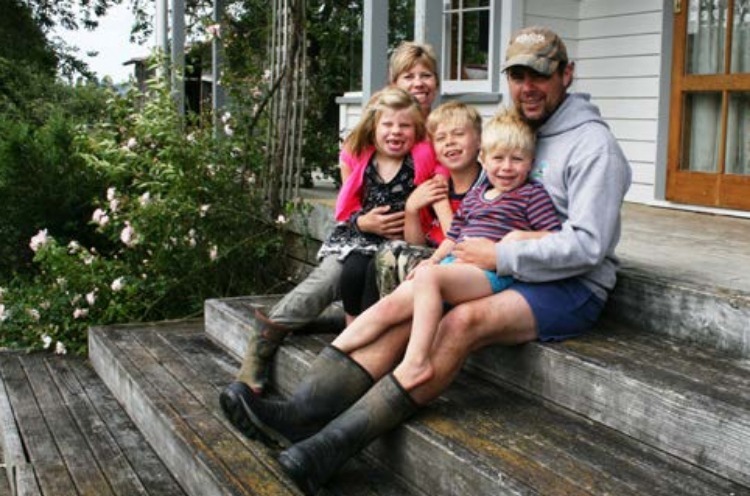 Kerry and Steve live on a dairy farm, in a rural community about an hour out of Nelson, with their three young children. They are Calf & Rural Scheme supporters and have also needed IHC’s help for their daughter Saryn. Finding out your child has an intellectual disability can turn your whole world upside down. Imagine the questions that run through a young mother’s or father’s mind. When little Saryn was born with a fused skull, surgeons had to operate to put a plate in her head to make room for her brain to grow. But when she was 10 months old her mum Kerry suspected something else was wrong. Saryn wasn’t doing the things the other children were doing at that age. After a huge seizure she went through a battery of tests. Kerry wasn’t expecting to be told Saryn had an intellectual disability. But tests revealed their beautiful little one-year-old had Koolen-de Vries syndrome, a very rare genetic condition that can cause multiple disorders. “Saryn’s diagnosis turned our lives upside down. We went through grief and anguish and it took us a couple of years to accept she had it,” says Kerry. Kerry doesn’t know what the future will hold for Saryn, but she and Steve want to give her as many opportunities as they possibly can.